The goal of this exercise is to make each finger on your fretting hand as smooth and independent as possible. The fingers of the hand do not move equally well. This exercise helps you overcome finger inequality. This exercise works on your hammer-ons and pull-offs You should focus on playing each note evenly. Each hammer-on and each pull-off should be played evenly clearly and with relative ease. Start slow and build yourself up gradually. 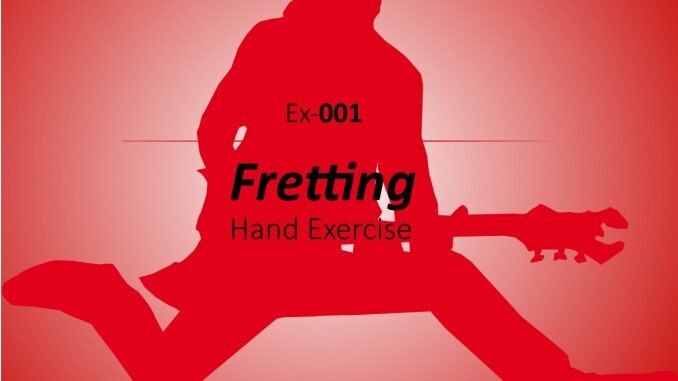 This exercise should help you develop a steady fretting hand. Use all four of your fingers for this exercise.